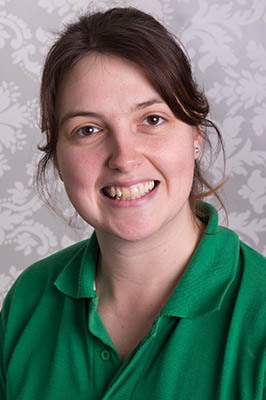 I am Jen and I am the Business Manager here at Toybox Great Denham and I have a number of different roles of responsibility within the management team. As part of my management role I look after the nursery software, whether this be on our individual system (abacus) or our integrated system alongside Busy Bees. This allows us to plan carefully to ensure our ratios are always met and the occupancy of our nursery remains high allowing us to continue to deliver Outstanding childcare everyday. I am responsible for processing all invoices along with organising the collection of payments using a range of methods, Debit card payments, childcare voucher payments as well as Tax Free Childcare payments. As a further part of my individual management responsibilities I maintain and oversee the high quality of standards within the nursery Kitchen. We have continued to maintain our 5 star food hygiene rating since opening in April 2013. I developed a set of winter and summer menus according to the children's food trust guidelines before achieving the accreditation award. The main kitchen responsibilities now lie with our nursery chef, Lito. I currently work alongside him to ensure menus are refreshed and recipes developed along with ordering and monitoring of food produce. I also produce all of our company rotas, scheduling time off and managing staff placement within the 3 rooms in the nursery. I am responsible for overseeing the review and update of all company polices and procedures. I have worked for Toybox since August 2011 when I joined just after graduating with a degree in Early Childhood Studies. Whilst working for Toybox I have led practitioners to provide outstanding childcare and practice across all age groups, I have also been given the opportunity to develop and progress into the management role. During my first year with Toybox I achieved my Early Years Professional Status, the equivalent of the Teacher status for the Under Fives. Here in Great Denham I am one of two Nursery Managers who drive the outstanding practice in our beautiful nursery. I am an enthusiastic and confident individual who works hard to achieve outcomes and strives to constantly maintain our high standards. Toybox Great Denham is a great place to learn and have fun. The nursery is purpose built to provide a stimulating environment, encompassing all seven areas of learning and development. Every child’s needs will be met by carefully observing their learning and development ensuring each is encouraged to progress to the best of their individual abilities. During their time in the nursery children will, learn through play, have opportunity to develop their key skills that prepare them for the transition to the school and later life. These include beginning to speak and ask questions, develop a sense of independence, become inquisitive about the world around them, extend gross and fine motor skills for mark making as well as learning to share and make friends.